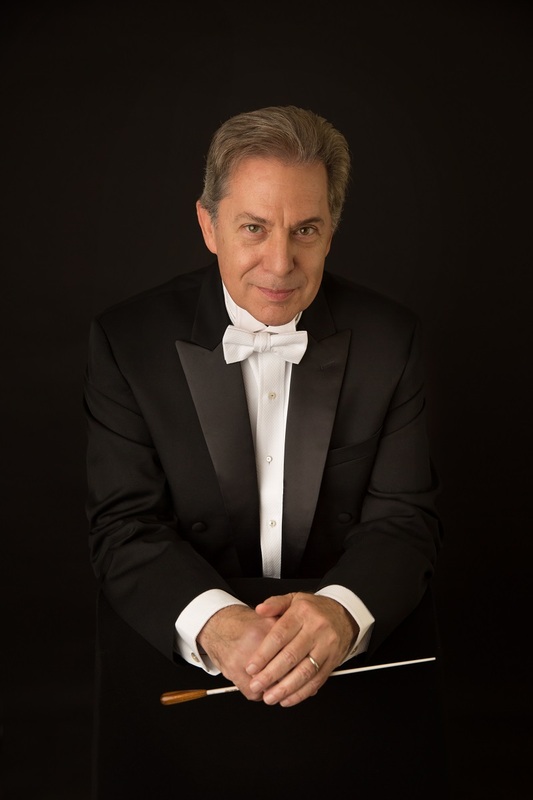 Founder, Artistic Director and Conductor of the National Music Festival, Richard Rosenberg is one of a handful of American conductors whose experience ranges from contemporary music to historical performance practice. Under Rosenberg’s baton, his own editions of music by the 19th-century Louisiana composers Edmond Dédé, Louis Moreau Gottschalk and Lucién Lambert, as well as music by Jerome Moross, were recently released on five compact discs on the Naxos/Marco Polo label. His Naxos recording, “Jazz Nocturne: American Concertos of the Jazz Age,” which includes first recordings of music by George Gershwin, James Price Johnson, Harry Reser and Dana Suesse, was released to critical acclaim. Rosenberg has performed as Guest Conductor throughout the Americas and Europe. On two weeks’ notice, Mr. Rosenberg led the critically-acclaimed European tour of Arleen Auger and The Classical Band, a New York-based early instrument orchestra. He recently conducted two performances of Gustav Mahler’s monumental Symphony No. 3 with the Orchestra Sinfonica della Fondazione “Tito Schipa” di Lecce in Italy, and was invited to return for additional concerts to lead the premiere of Nicola Scardicchio’s “Mosè” and music of Dave Brubeck. He has led residencies at the University of Kansas at Lawrence, Oberlin College and Louisiana State University at Baton Rouge. Earlier in his career, Rosenberg was, for fifteen years, the Artistic Director of the Hot Springs Music Festival, Music Director of the Chamber Orchestra of California in San Francisco, the Waterloo/Cedar Falls Symphony Orchestra, the Corpus Christi Symphony Orchestra, the Pennsylvania Ballet and RESONANCE. He also served on the conducting staffs of the Baltimore Symphony, the Oakland Symphony, the London Classical Players, the Michigan MozartFest and the Aspen Music Festival and as Acting Director of Orchestras at the University of Michigan in Ann Arbor. Rosenberg’s experience includes his study with composers Mario Davidovsky, Krzysztof Penderecki and Carlos Surinach; clarinet with Gervase De Peyer and Georg Hirner; theory with Charles Burkhardt, George Perle, and Carl Schacter; opera staging with Roger Brunyate and Boris Goldovsky; choral conducting with Margaret Hillis, Robert Shaw and Elmer Thomas; and conducting apprenticeships with Eugen Jochum, Friedrich Cerha, Günther Herbig, Julius Herford, Carlos Kleiber, Giuseppe Patané, Wolfgang Sawallisch (Bavarian State Opera), Jerzy Semkow and Leonard Bernstein (New York Philharmonic). He was an active participant in master classes with Pierre Boulez, Aaron Copland, Jussi Jalas, Lorin Maazel, Julius Rudel, Sir Georg Solti and Walter Weller. In 1988, he was awarded a Rackham Fellowship to work in Europe with Sir Roger Norrington and Nikolaus Harnoncourt. His training also includes studies at Yale University with Otto-Werner Müller, the Peabody Institute-Johns Hopkins University with Frederik Prausnitz, the Mozarteum in Salzburg with Herbert von Karajan, the Aspen Music Festival with Paul Vermel, at the City University of New York with Fritz Jahoda, Cincinnati College-Conservatory with Gerhard Samuel and the Accademia Musicale Chigiana in Siena with Franco Ferrara. In addition to his work as a conductor, Rosenberg has produced two compact discs of music with jazz legend Dave Brubeck, and two discs of Mozart piano concerti, all for the Naxos Records label. He is an honorary Paul Harris Fellow of the Rotary International Foundation, an honorary National Arts Associate of Sigma Alpha Iota and a member of the National Advisory Board of the Henry Mancini Institute. On a Yale Alumni Ventures Grant, Rosenberg recently returned from lost piano works of Louis Moreau Gottschalk in Cuba with over 1,100 pages of music.